Welcome to Applehurst, a town so mundane it would make your journey to work look like a rollercoaster of emotion. With highlights including Mrs Someone from down the road suffering a chest infection, and Mr Someone Else confiding in Sister George about his deepest fears, the place is the very definition of parochial. Fortunately for audiences at the London Theatre Workshop, Applehurst isn’t the setting for The Killing of Sister George – or at least, it isn’t the setting for the play – instead, it’s the home of a BBC radio soap opera around which Frank Marcus’ play pivots. When the gin-swigging force of a woman that is June Buckridge begins to suspect that her popular Applehurst character is going to be killed off, it would be a gross understatement to say that she isn’t happy. Reacting a lot like you might if you discovered someone were actually plotting to kill you, it becomes clear that the character she’s played for years has, in lots of ways, actually become a significant part of her own identity – so much so that even her “flatmate” Childie even calls her Sister George. A relationship with more to it than immediately meets the eye, the play meanders around myriad topics, looking at power dynamics between people, and how they can end up being abused – something still topical to the BBC in the wake of Jimmy Savile – whilst also touching on, amongst others, issues around sexuality, class and gender. As someone who loves a podcast, but who has diligently dodged radio soap operas my whole life, it’s not a premise that immediately connects with me, and I feel apathetic at best about the idea of Applehurst. Yet Artful Theatre do incredibly well to bring some semblance of relevance to the play, steering the focus away from the Applehurst itself, and onto the real subjects: Sister George’s (Sioned Jones) emotional wellbeing, and her relationships with her character, her “flatmate” (Briony Rawle) and her boss (Sarah Shelton). 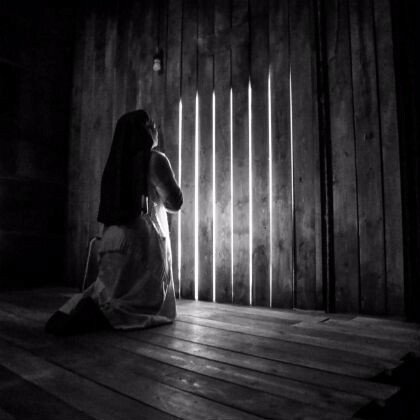 With uncomfortable echoes of Savile-era goings ons, as well as touching on domestic violence and psychological abuse, the ideas examined are interesting and challenging, particularly when it comes to sympathy – how much sympathy should anyone feel for Sister George? And where should that end? They’re impossible questions with fine lines to tread, but are ones that do, and will continue to, endure. Themes aside, there seem to be some structural problems with the play, not least in that the slow-moving first act is far too lengthy and too light on humour to really move the story along, but also that the key question posed in the first act – namely, “will they or won’t they, kill off Sister George?” seems to be neatly answered before the interval, without posing any more to bring audiences rushing back to their seats. This in itself seems to under-sell the second act, which is everything the first lacks, moving at pace, visually stimulating, with more stage time going to the slightly bonkers Madame Xenia (Janet Amsden), who lifts the show with laughs, and is so firmly preposterous that she creates a little piece of certainty in an uncertain vision. It translates into a play full of contradictions, but one which does, ultimately all come together. Possibly not as challenging for audiences as it would have been when it was first produced in 1965, for me The Killing of Sister George is a play that’s nevertheless surprisingly relevant, presented with simple yet thoughtful design work. 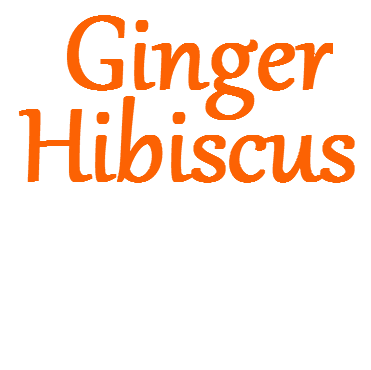 Ginger Hibiscus don’t like using stars as a headline; we think they’re too reductionist, and that decision-making based on stars misses the point of a review. Just as you wouldn’t judge a personality using a five-point scale, theatre is multi-dimensional. So have a read, and then look at the stars afterwards.